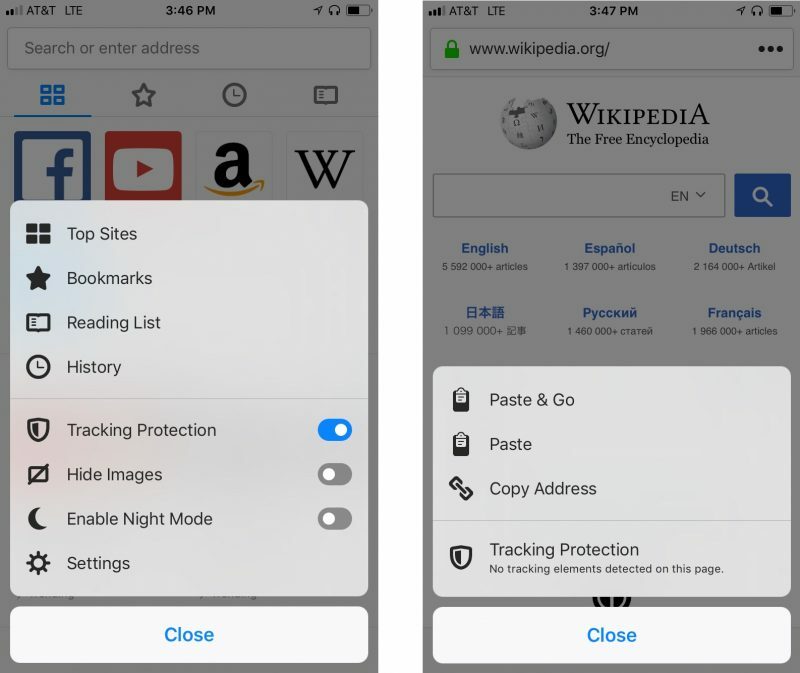 The additional privacy measure means users get automatic ad and content blocking when browsing unless they opt out, while those who want to selectively deploy Tracking Protection need only tap the menu button and slide the feature's toggle. On the iPad front, Mozilla has added the ability to re-order multiple open tabs to prioritize them. To do so, long-press a specific tab and drag it into the desired position. Meanwhile, in Split View, it's now possible to share and open links by dragging and dropping them to and from Firefox to any application, whether they're in an email or a tweet. Firefox has also implemented new keyboard shortcuts for standard navigation, as well as several improvements for easier tab tray navigation, like Command-Option-Tab to get to and from the all tabs view. Users seeking more details on the full range of keyboard shortcuts available in Firefox can check Mozilla's online guide. Ive been using DuckDuckGo as my default for a wee while. You don't have to accept Google. If Apple is so big on privacy... why is google the default search engine in safari? What does safari on iOS offer like this? ie. to reduce tracking of usage? [doublepost=1523616660][/doublepost]All this focus on Facebook around privacy while google is probably the worst. 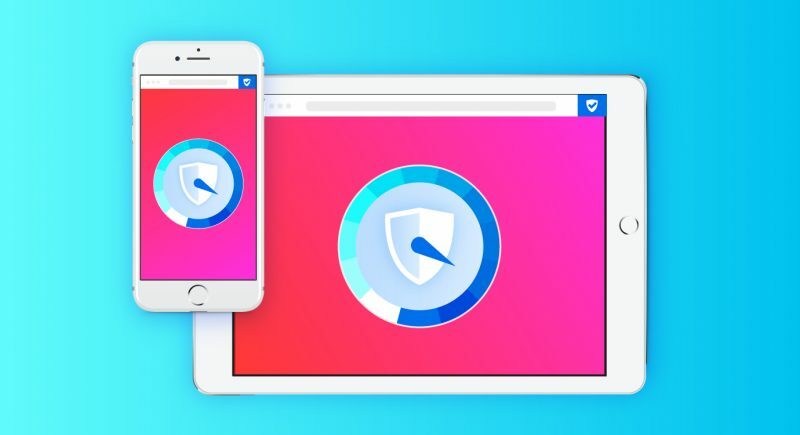 Safari offers their prevent cross-site tracking feature. Aside from the fact that Google gives you all the controls you need to both turn off the various things they track and easy ways to delete all of the data. Should be far less worried about Google than Facebook. Don't you find it a bit ironic that in order to (supposedly) gain control over what Google (admits) they have on you, you must first sign up for an account and identify yourself positively? Why can you not just set a cookie that fully or selectively blocks by IP? Simple - without an email address tied to you, the value of their information is comparatively small. With an email address attached to you, they can start building a vastly more valuable profile beginning with whoever else has you in their contacts, followed by a search of all online documents containing references to your email address. And so on. By the way, keep in mind that not only has Facebook admitted nothing is ever deleted, so has Google. Even when they tell you its been deleted, its still somewhere in their possession. No thanks. Best way to stay out of their sights is to never identify yourself to Google, and also never use their services. Because user demand it. There have been rumors that Apple wanted to change it in the past, but decided to leave the default at what most people choose anyway. Why is there no pinch-to-zoom on Google image search in Firefox? Google changed stuff with images, so you are supposed to actually visit the website (which potentially) increases the sites' ad revenue & cookies & stuff. I second DuckDuckGo and also think others should use alternative browsers because most hackers are hacking at default browsers because it's where the numbers are vs an alternative.